The most exciting moment in the Salvador calendar is undoubtedly the spectacular February carnival, when up to two million revellers from all over Brazil and the world fill the streets over four days, dancing, singing and drinking in inimitable Brazilian style. 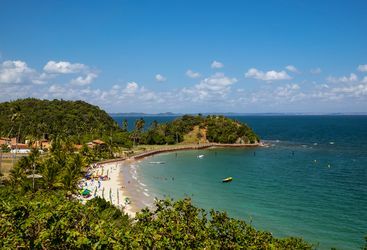 Rio's more famous alternative has become rather regimented and has ceased to be the street party that it once was, and Salvador has happily taken over. The music, stands and processions cover a range of pre-announced Circuits, with everything from samba to reggae, candomblé drumming and outlandish costumes on display and entertaining the crowds. Salvador’s carnival is referred to by those in the know as the most authentic and fun-filled Brazilian option. Will is our 'Salvador Carnival' expert and as a seasoned traveller has the inside track on the most memorable adventures.